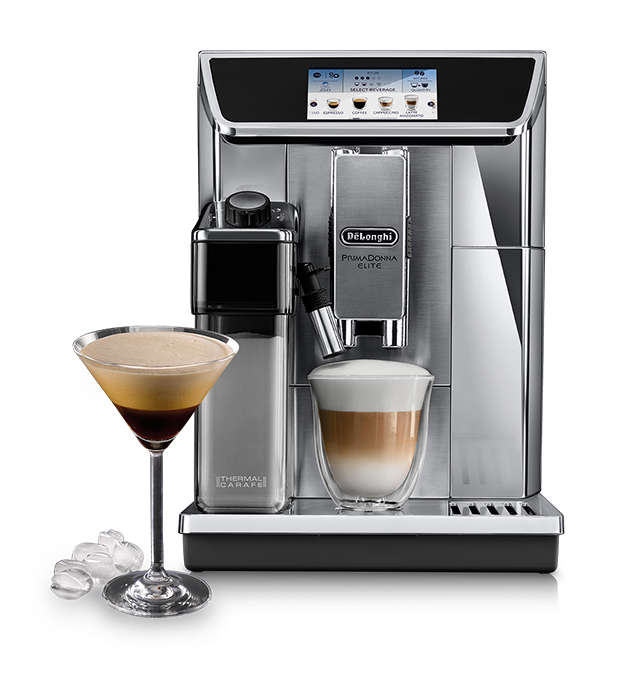 Prepare your perfect coffee and milk based beverages at a touch of a button. 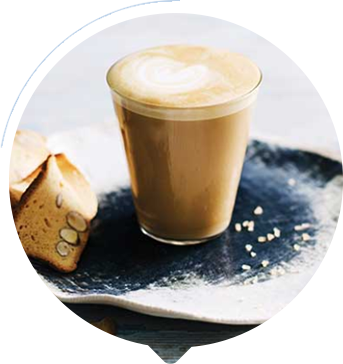 Make coffee beverages at the perfect temperature, with the perfect density, colour and taste thanks to DeLonghi bean-to-cup technology. 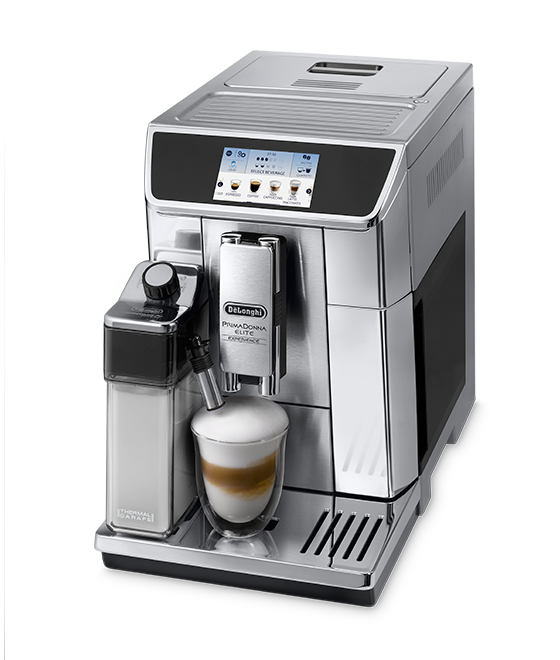 Experience a true workmanship showcasing, intuitive interface with a new 4.3” colour touch display. 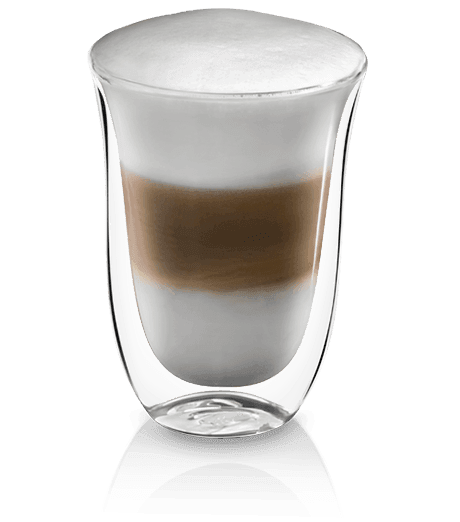 Add your personal touch and create your own unique coffee cocktails. 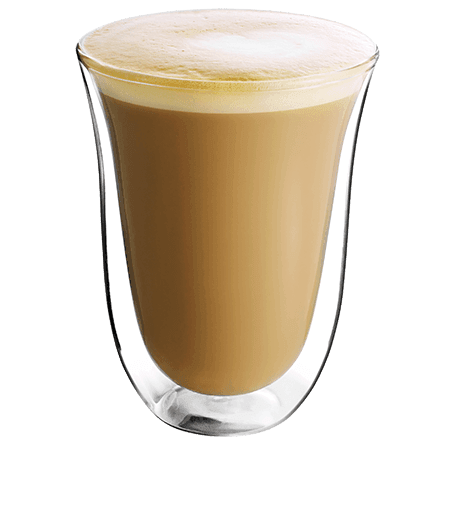 Hot chocolate, cold, creamy coffee or cold milk foam can be used as an extra ingredient in the creation of your own cocktail recipe. 4.3” TFT color display with touch screen technology, for the maximum ease of use and interaction. 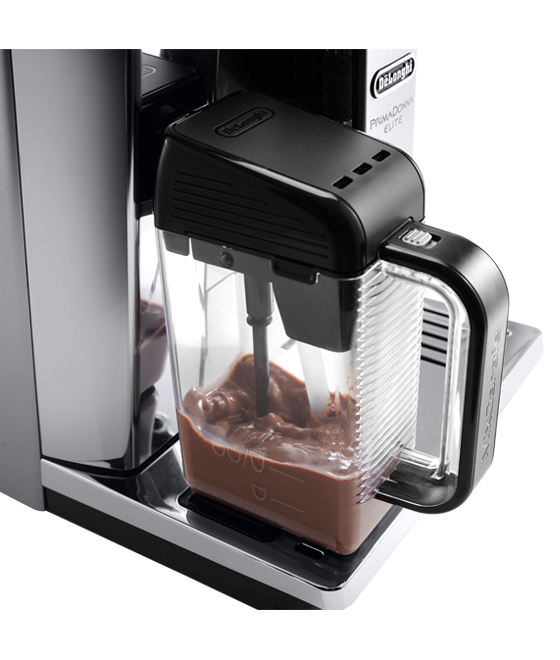 New Multibeverage function with dedicated MixCarafe, to discover new semi-automatic recipes (hot chocolate, cold coffee and cold milk foam) and enter the world of multibeverage preparation. 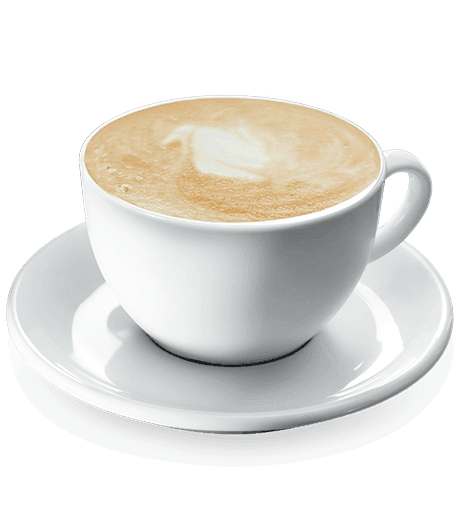 Wide variety of coffee and milk recipes, easily programmable, with 6 user profiles for individually tailored drinks. 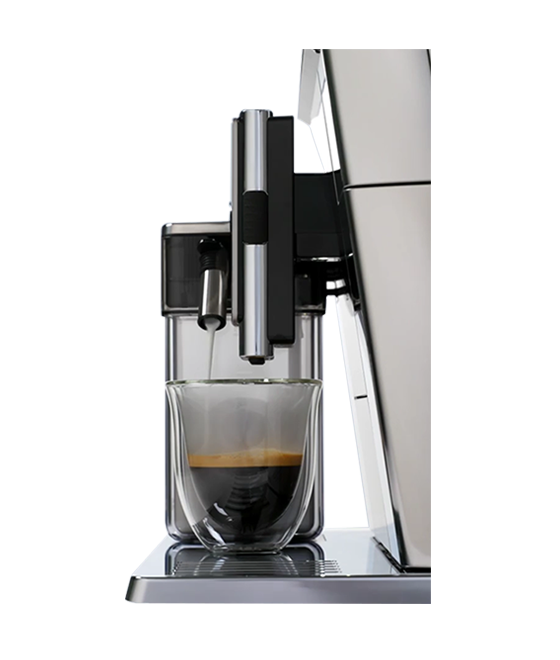 Bright and brushed stainless steel finishing and ergonomic outlines for a precious and dynamic design. 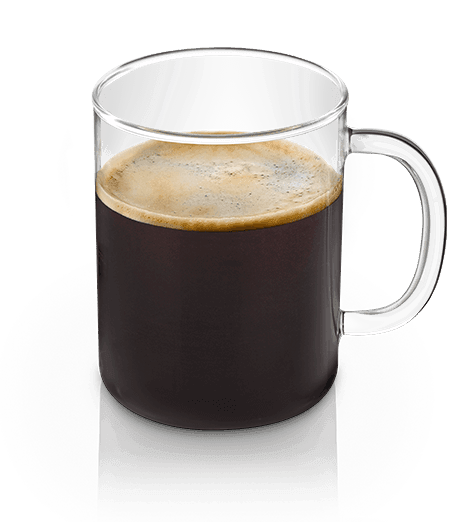 Drip-tray with dishwasher-safe removable grid for easy maintenance. 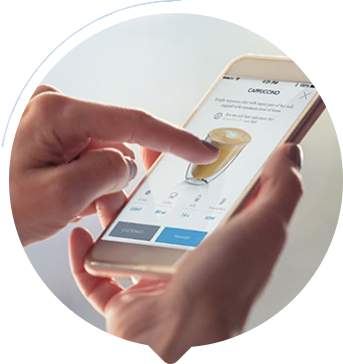 Machine connected to the innovative Smart Coffee Link App, to create new beverages, discover infinite personalization and receive unlimited advice and suggestions. 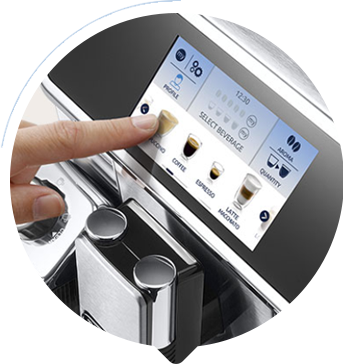 New One touch recipes: Hot water function, to drink desired teas at the ideal water temperature, and Americano. 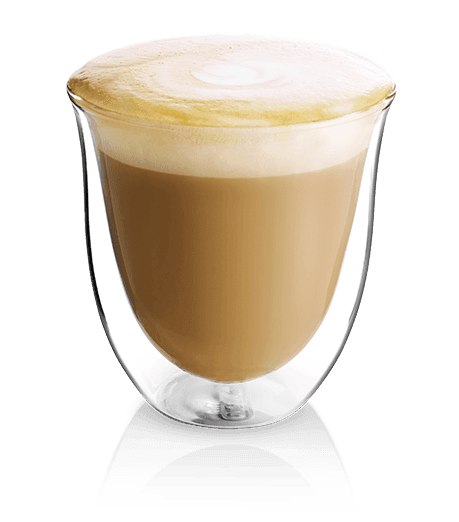 Thermal carafe with double wall to keep milk at an ideal temperature for longer. 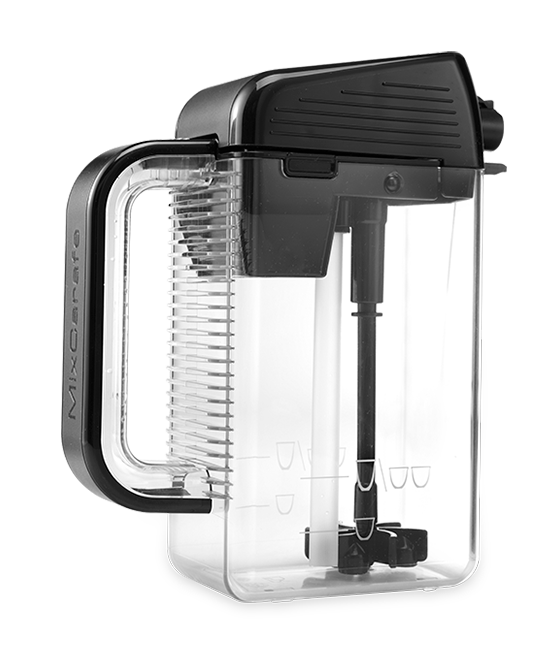 Automatic clean for easy cleaning of the milk jug – so it can be turned to the fridge after use. Explore an intuitive interface and functionality with the new 4.3” color touch TFT display. 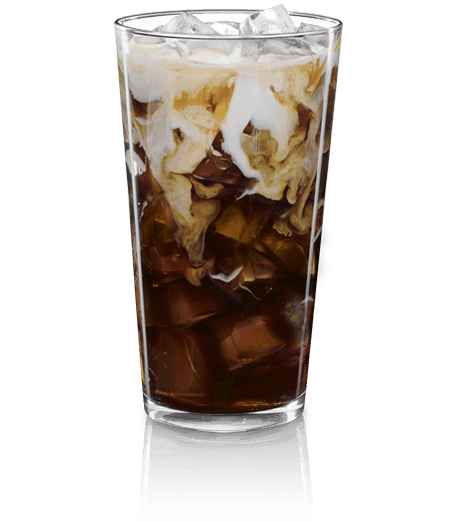 It allows to choose and personalise your drinks and even set up your personal profile, all with a simple touch. 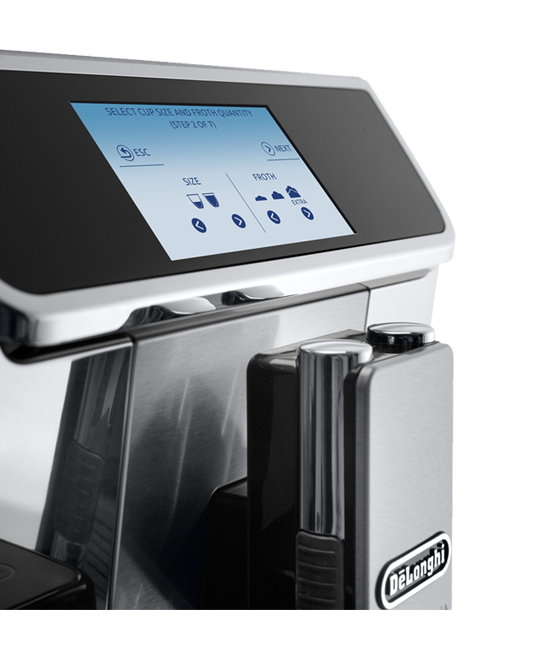 The first DeLonghi machine connected to create new recipes with complete freedom and discover infinite personalisation. Moreover, with “real time” communication, the App gives unlimited advice and suggests how to maintain the machine. 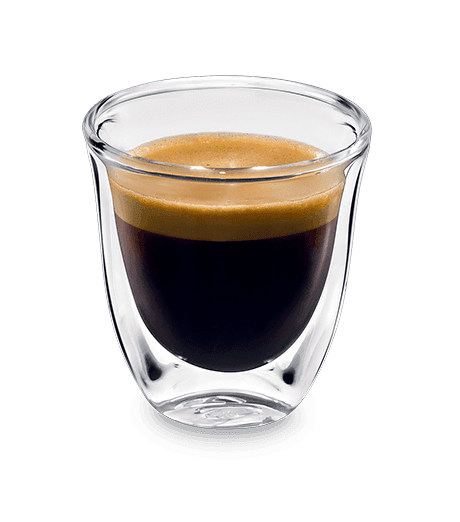 From the perfect espresso to the perfect milk foam, it is possible to experiment and discover various flavors and recipes. 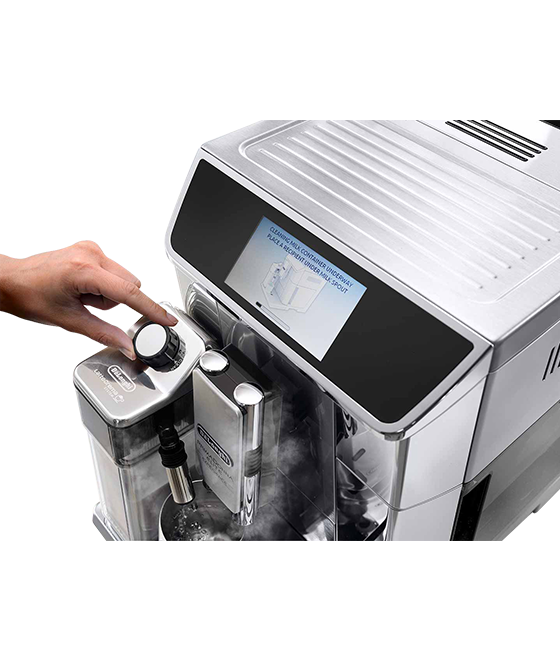 Let yourself be amazed by new one touch recipes (Americano and Tea function) and semi-automatic ones (hot chocolate, cold coffee and cold milk foam) to enter the world of multibeverage preparation. 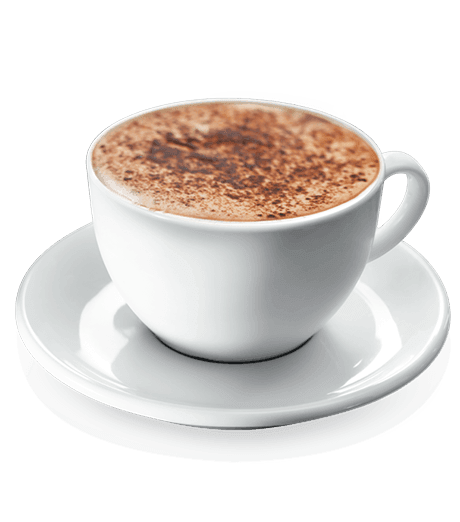 Create barista quality coffee at home using your favourite fresh coffee beans. 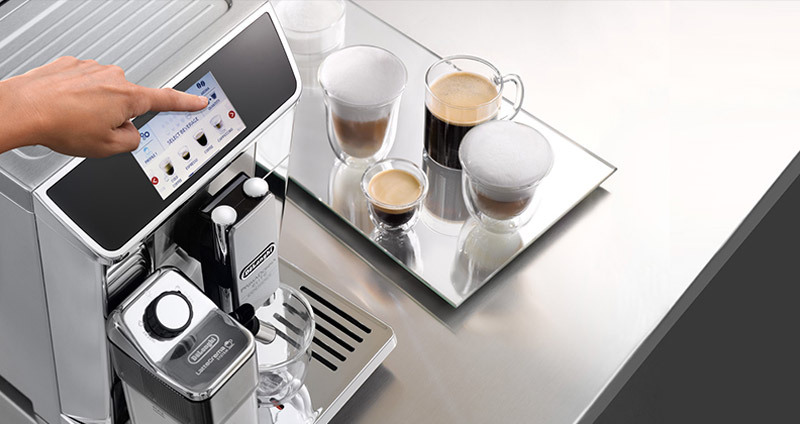 Every step your barista takes is replicated inside a De’Longhi Fully Automatic coffee machine. 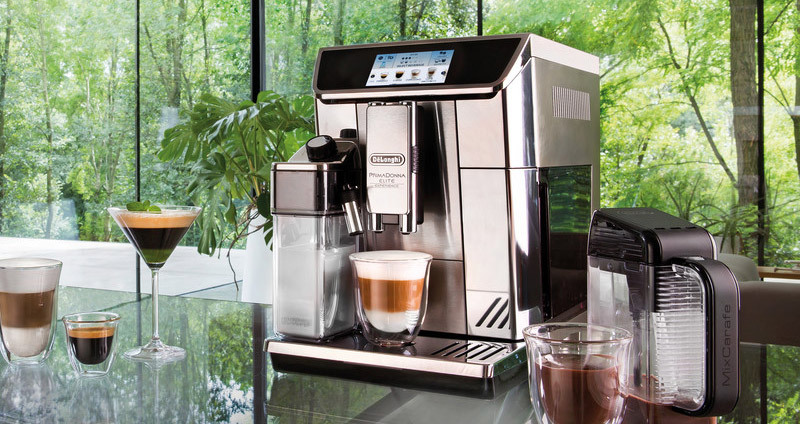 With up to 6 user profiles and up to 10 pre-programmed beverages, De’Longhi Fully Automatic coffee machines place coffee personalisation in the palm of your hand. 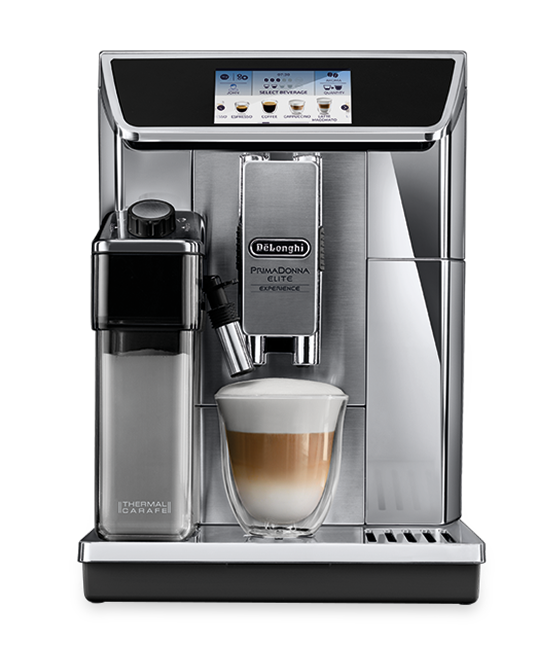 The intuitive machine interface lets you create your favourite barista quality coffee at the touch of a button. 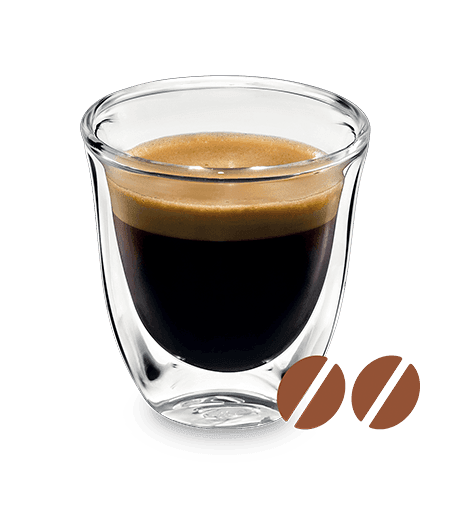 perfect consistency, at the touch of a button.